At the American Red Cross, BLS training in New York is designed for those who are currently employed or who are seeking employment as a first responder or healthcare professional. In addition, classes are available for teams and organizations, such as fire crews and police departments. Explore the New York BLS classes in your area, or inquire about customized training for your department, and stay up to date on the latest techniques and protocols. The Red Cross delivers BLS training in New York that meets all the requirements for certification. Available in a traditional classroom setting or via our blended Simulation Learning, which combines online coursework with in-person skills sessions, all of our BLS classes are built around standard scientific learning objectives and the latest medical information and techniques. Explore the classes available near you and earn your New York BLS certification. New York BLS certification courses are led by best-in-class instructors who combine lecture with hands-on skills sessions, which allows you to learn the information and put it into practice quickly. Held in a traditional classroom setting, our in-person classes provide students with the opportunity to ask questions and work through the information with their instructors and classmates. In addition, you'll receive direct guidance on performing skills so you can become confident in your methods prior to taking your certification exam. Our best-in-class Simulation Learning experience is designed for those who need the freedom to learn at their own pace. Delivered via a combination of self-paced, interactive classes, and culminating with in-person skills sessions, these New York BLS classes give you the opportunity to train on your schedule, and demonstrate your skills to a certified instructor. Because your certification is only valid for two years, New York BLS training isn't a one-time process. In order to maintain your credentials, certificate holders who are nearing the end of their certification period, or those whose certifications are within 30 days of expiring, must take a BLS renewal course to avoid a lapse in certification. Once successfully completed your BLS certification will be extended by two more years. The Red Cross offers online and in-person renewal courses so you can choose the right class for the way you learn. 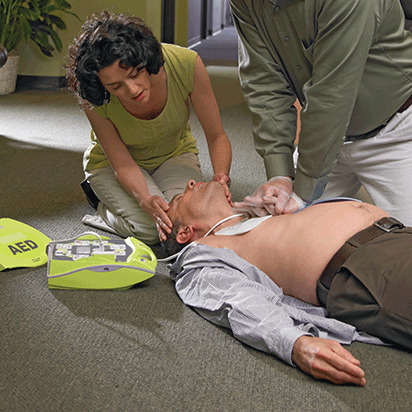 As a BLS practitioner it's your job to be prepared to respond quickly, and appropriately. In order to do so, you'll need to perform some steps during every incident, and others only an as-needed basis. In order to help keep your memory and your skills fresh after completing your BLS classes in New York, we've outlined some high-level steps that apply to most scenarios, and created reference materials that you can use to study the steps required for specific situations. The Red Cross delivers BLS classes in New York and across the country. And although our coursework can be modified to include your local protocols, you can rest assured that no matter where you're studying Basic Life Support our curriculum includes the latest information and techniques. In fact, American Red Cross BLS classes are developed under the guidance of, and reviewed by, the American Red Cross Scientific Advisory Council which ensures that the information available is both proven and up to date.